Published: March 31, 2019 10:21 Samar Khouri, Special to tabloid! 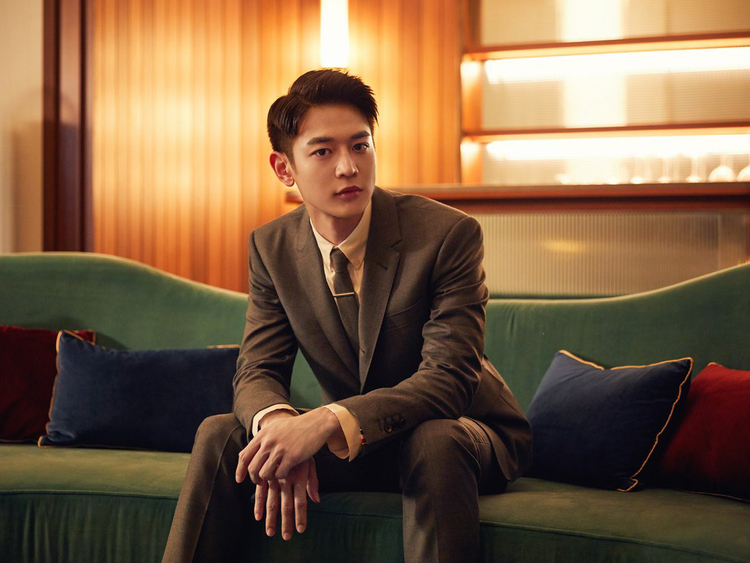 Minho’s solo debut song soared to the top of the UAE iTunes albums chart minutes after its release last Thursday. ‘I’m Home’ is the ninth entry from the third season of his label’s digital music release programme, SM Station, and is Minho’s first single as a soloist before his upcoming military enlistment. As a gift for fans, the SHINee member released the farewell song, showcasing his mellow vocals and smooth raps while addressing the feeling of emptiness and loneliness of everyday life. Minho participated in writing the rap lyrics and wanted those who are hesitating to ask someone how they’re doing to listen to ‘I’m Home’ to give them some courage. In addition to charting high on the local iTunes chart, the whistle-driven, R’n’B hip hop track topped the iTunes charts in nine other countries: Saudi Arabia, Singapore, Chile, Peru, Thailand, Philippines, Dominican Republic, El Salvador and Sri Lanka. The singer-actor will bid farewell to his fans on April 15 as he begins his mandatory military service and is set to join the Marine Corps, SM Entertainment confirmed. All the SHINee members have taken part in the digital music project, which kicked off three years ago. Minho is the third member of the boy group to fulfil the country’s draft requirement, following Key and Onew. The K-Pop star is well-recognised as an all-round artist. Since his time as a SHINee member more than a decade ago, he has penned the lyrics for the rap parts of his group’s songs like ‘Juliette’, ‘Love Like Oxygen’, ‘Up & Down’, ‘Good Evening’, ‘Chemistry’ and many more. He has also actively appeared in television dramas and movies. Minho recently finished shooting a new film, ‘Jangsa-ri 9.15’, alongside actress Megan Fox.